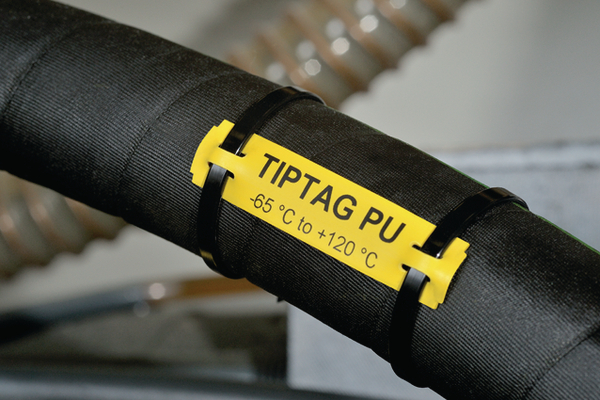 The Tiptag PU cable markers consist of a robust and flexible polyurethane material. It is especially suited for harsh environments where the material is exposed to chemical, fluids or abrasion. 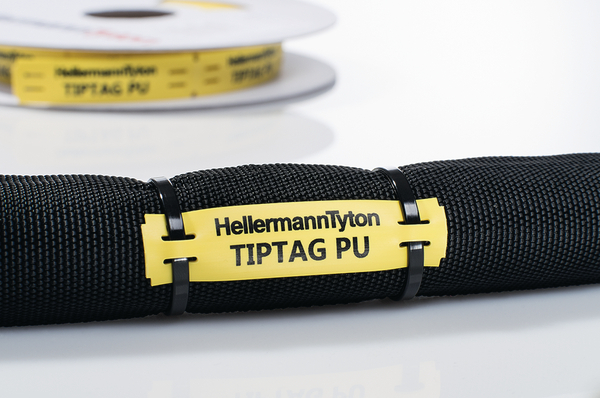 Tiptag PU's are presented in a special perforated format which include fastening slots for easy fitting with cable ties. They are also suitable for retrofit purposes. 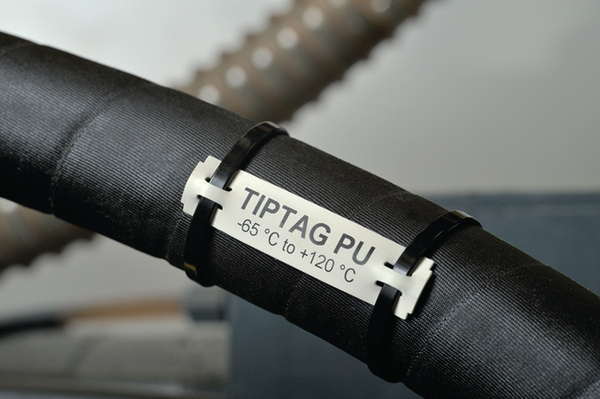 Print from the reel with HellermannTyton's premium range of thermal transfer printers. 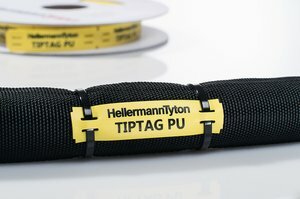 A special ribbon has been developed for Tiptag PU to create a “tattoo” effect so that the marking cannot be rubbed off and is particularly durable and resistant to harsh abrasion.